Michelle Schubnel has helped thousands of coaches worldwide attract more clients, increase profitability and achieve greater business success. A leader in the coaching field, Michelle often speaks at industry conferences and events. She has wowed audiences at the 10th Annual ICF Conference, the European Coaching Conferences, in Brussels, Belgium and Helsinki, Finland, and at dozens and dozens of coaching association meetings, world wide. Michelle delivered keynote addresses at the ADHD Coaching Conference and the Greater Toronto Coaches Annual Conference. Michelle has been featured on KNTV’s “Midday Around the Bay”, “The Coaching Show” radio program and in numerous publications including Choice – The Magazine of Professional Coaching. Michelle received her coach training from Coach U, Corporate Coach U and BusinessCoach.com. She has extensive continuing training and education, including studies with Landmark Education, Decker Communication and Giving Spirit Form, a two-year Native American personal development program. Michelle earned her B.A. in International Relations from Brown University. Michelle is an active member of the International Coach Federation. She has served in numerous leadership positions over the past several years. Michelle has been a professional coach since 1998. Since that time, she has coached hundreds and hundreds of coaches, business owners and entrepenuers to achieve greater success. Michelle helps her clients develop powerful positioning, implement strategic marketing, improve their time management and maximize their business enjoyment. 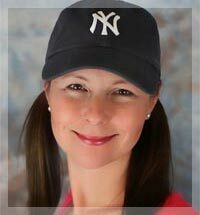 When working with coaches Michelle happily wear her “consulting” hat when it benefits her clients. By readily sharing her wealth of knowledge, resources and experience, she enables her clients to save tons of time, avoid costly mistakes and make the best possible decisions about their business. Michelle’s professional background is in sales, marketing and event production—three things she loves! Prior to launching her coaching business, Michelle was an integral part of the growth and profitability of Navis Software Systems (now Zebra.com), a highly successful Bay Area software start-up. She first developed the marketing department and then moved into sales, closing multi-million dollar contracts with clients in South America, Europe, Asia and the USA. A five-time marathoner, avid skier and live music fanatic, Michelle has a passion for living life fully. Originally from New York, Michelle now lives in the in San Francisco Bay Area with her husband Adam.